How many house clearances in Solihull? We receive a lot of calls from the Solihull area. Our reputation has spread well throughout the community and we always appreciate the kind words our clients say after the job is completed. Clearance instructions: We were instructed to clear a 1930s art deco house with 1.5 metre side entrance and large outward opening doors on the front side and smaller door on rear. The property was to be cleared in order for complete refurbishment for new tenants. All electronic equipment was to be kept at the property. Overview: We paid the client to remove the household goods and salvaged certain items to cover the costs. 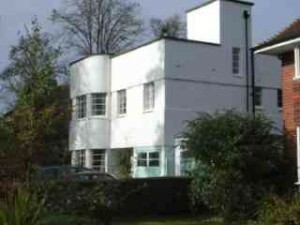 The art deco house was a more difficult Solihull house clearance due to the narrow staircase which meant we had to re-order the clearance and dismantle wardrobes to take downstairs. It also meant we had to take it slowly in order to damage any fittings, walls or lights. Due to heavy thunderstorms it was also a task to remove all garden effects due to a waterlogged lawn however with a solid pair of wellingtons and a positive “can do” attitude we were able to complete this. Client feedback: The Solihull house clearance was completed in 1 hour and 38 minutes ahead of time to the amazement of our client. As part of our service we also provided valuations on two Chester drawers and gold jewellery. Our client even called us up after the clearance to let us know with great thanks that our valuations were spot on. Do you require a Solihull house clearance?